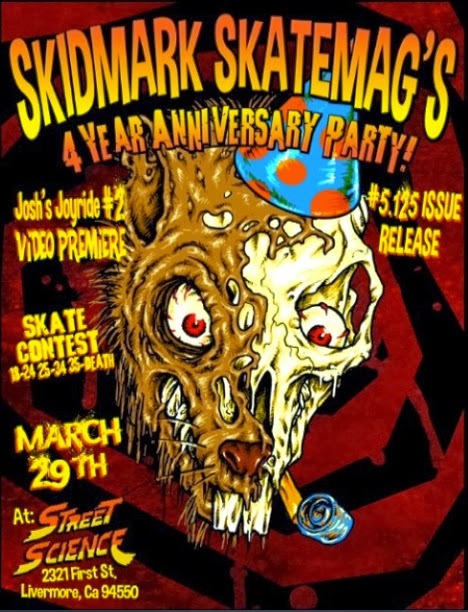 Skidmark Skate Mag 4 year anniversary party!! Celebrate 4 years of Skidmark Skate Mag at Street Science Skate Shop in Livermore on March 29th. Ramp contest, video premier, Mag release... Don't blow it.